When a country discovers that it has valuable mineral deposits under its soil, some would say it had won the lottery. Putting aside the question of how and why it was that the country began looking for the minerals in the first place, how does it then make a series of other decisions? Whether or not to exploit these minerals? How to exploit them? Who will exploit them? What to do about the people and environments that will be disturbed by this exploitation? Other questions will also arise. What, if any, taxes and royalties will the miners and drillers be asked to pay back to the government? How will those taxes and royalties be spent? Who will benefit from them? Who will know how much miners and drillers are paying in taxes and royalties? These are all elemental decisions. How they are answered will have profound implications for the nature of development in our hypothetical country, at a national scale as well as in the areas in which the minerals are located. Understanding these decision-making processes should shed light not only on what drives natural resource governance in the country, but also on what drives development there. 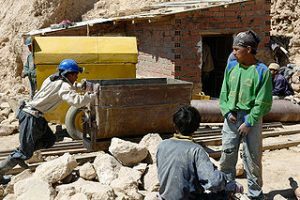 These are the motivations underlying a series of recently published ESID working papers (numbers 77, 78, 79, 80, 81, as well as 74 and 66) that address these questions for the cases of Bolivia, Ghana, Peru and Zambia. The papers are part of a collective effort to understand the drivers of extractive industry governance. The study on which these papers are based begins from the argument that such decision-making is not a technical exercise. Technical ideas (about taxation rates, environmental vulnerability, etc.) may of course be deployed in this decision-making – but which ideas are mobilised, and how far they will finally be applied, depends on who is deploying them, the goals they are pursuing, and their own concepts of what constitutes development. Even if ‘technocrats’, the ostensible guardians of ‘technical’ knowledge, play a powerful role in these decisions, this only begs further questions: how is it that technocrats have come to assume such power in the first place, and why do they believe what they believe? Decision-making that drives extractive industry governance is, therefore, political not technical. 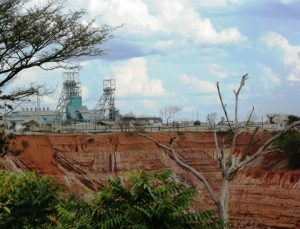 This does not, however, take us very far: the argument that the problem of extractive industry governance is one of politics rather than policy design has already been made, and endless conflicts around extractive industry make clear that interests and contention surround almost all decisions related to mining, oil and gas. These papers therefore seek a framework, a language and a set of concepts to talk about the politics of extractive industry governance in a more formal and ordered way. The studies also use comparison across countries and over time to develop this conceptual framework and an empirical argument. Papers 77 to 80 trace the interactions between shifting relationships of power and extractive industry over the longue durée – periods running from the late 19th century to the present day. Papers 81, 74 and 66 focus on comparisons across these country and contexts. The scope of such comparison – over two centuries and two continents – might be considered foolhardy, and indeed many details do fall out of the frame: yet clear patterns emerge across these countries and time periods that have implications for theories of extractive industry governance. First, negotiations between national elites and subnational actors do much to determine the nature of resource governance. This is a constant over time. Those negotiations may hinge around the use of brute force, the sharing of rents, the incorporation of subnational factions through resource transfers, or devolution of authorities, depending on the relative balance of power and dominant ideas – but in all cases, the negotiations are key. Second, governance of extractive industry always escapes the control of national capitalist, partisan, technocratic and other elites. Other actors that have been critical in fashioning extractive industry governance have varied over time and across space; they include, among others: unionised workers; organised and numerous artisanal and small-scale miners; mining cooperatives; territorially based indigenous organisations; chieftaincies; and insurgent sub-national political movements. 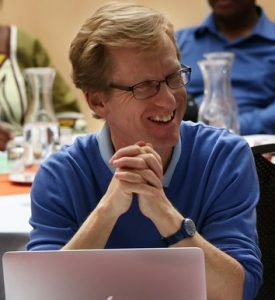 Whatever the case, even in those political settlements that are most obviously characterised as dominant party/dominant leader, excluded factions and subnational actors – whose very power derives from their ability to influence access to subsoil resources – prevent national elites from pursuing the models of resource governance that they would ideally prefer. Third, history matters enormously. Organised actors, citizens and societies remember earlier phases of natural resource extraction. These memories of time can take the form of ideas or of routinised institutional practices, but in either case they structure governance possibilities at time. Of the different manifestations of this phenomenon across the cases, one of the most important resides in the idea of resource nationalism, which recurs repeatedly over time to influence decision-making about who should access and control mineral resources, who should benefit from them, how they should be taxed, and how those taxes should be used. In some sense, resource nationalism is present in all conflicts over extractive industry governance, constraining options and guiding visions of resource-based development. In each of Ghana, Zambia, Bolivia and Peru, the idea that neither nation nor citizenry have benefited from extractive industry as they should have is persistent over time; equally persistent is the notion that resource extraction could be the path to development and poverty reduction. These working papers show that explaining who does and does not benefit from mineral and hydrocarbon extraction, how far these benefit distributions are sustained over time or change abruptly, and what ideas dominate debate on natural resources at any one point in time, requires an understanding of changing relations among national political elites, as well as between them and subnational actors, both elite and excluded.